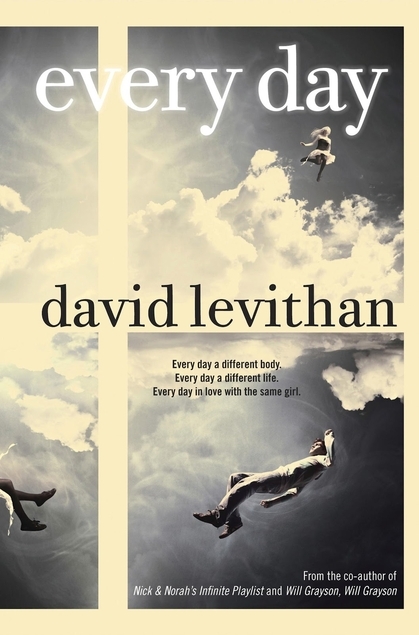 I love it when I get a good book recommendation from a friend. I recently heard about NPCs by Drew Hayes, and was very happy to find to find it every bit as fun as promised. 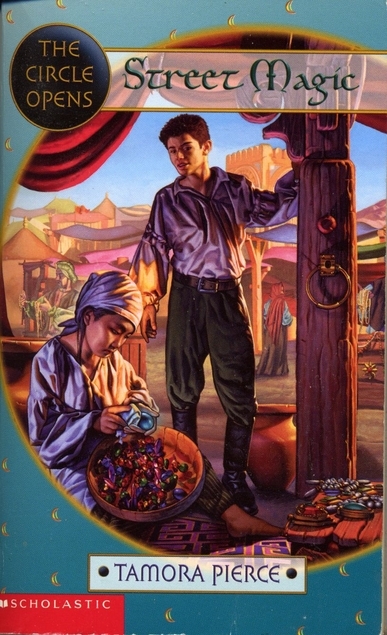 The books opens with a group of tabletop gamers playing Spells, Swords & Stealth (more or less Dungeons & Dragons). They promptly make a dumb decision and all four of their characters die in a tavern at the very beginning of their quest. 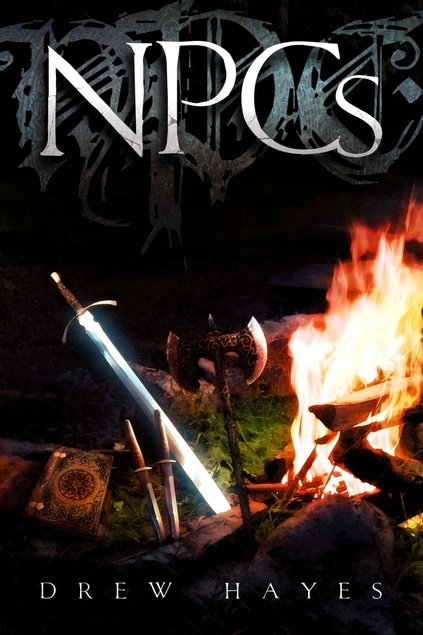 The story then shifts to the other inhabitants of the tavern–the NPCs, or non-player characters. Fully-developed people, they have their own lives and concerns. And a new problem–the four dead adventurers, whose deaths (though accidental) could bring the king’s wrath on their entire village. Gnome Thistle, half-Orc Grumph and humans Eric and Gabrielle decide the only solution is to take up the adventurer mantle themselves and try to complete the quest. I love this premise so much. One of my favorite story angles is to tell the story from the traditionally overlooked characters (as you might be able to tell from my books…) I love the concept that all those people just passing in the background have lives and personalities just as complex as the people the camera/story happened to be focusing on. Hayes explores that beautifully without getting too heavy-handed about it. I don’t often pick books up at random anymore, but I chanced to see an interesting title at the library the other day. 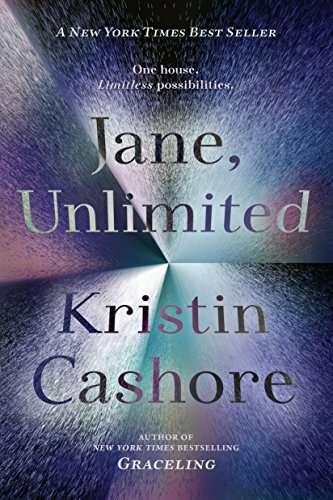 It turned out to be an excellent find: Jane, Unlimited by Kristin Cashore. Nineteen-year-old Jane is an orphan who recently lost her beloved Aunt Magnolia, who raised her. Jane is unmoored and drifting when she bumps into Kiran, an old acquaintance, who on a whim invites Jane to come to Tu Reviens. This is Kiran’s family estate, a mansion on a private island. Jane doesn’t want to go, but her Aunt Magnolia made her promise to accept an invitation to Tu Reviens if it ever came. It proves to be a mansion full of mysteries, and every person there has secrets. Jane soon finds herself at a crossroads, a seemingly insignificant moment when she can choose which mystery to pursue. Jane only can see one choice–at a time–but the reader gets to see what happens as each choice takes her down a completely different path, dividing the bulk of the book into five sections, each exploring a different direction. This is a masterfully created book, and as a writer I am genuinely in awe at how Cashore pulled this off. Each section of the book follows its own story, but it’s clear that all the elements from each section are happening in all of them–Jane just has different information, or sees different pieces. Later sections still have references relevant to earlier ones, and early ones have clues that aren’t explained until later ones. It’s incredible. 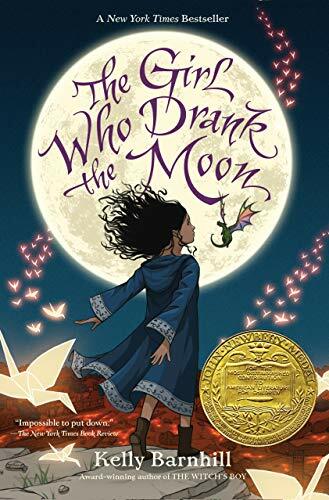 I’m continuing a strong push with the Newbery Medal winners in my reading, and I recently read the most recent winner, 2017’s The Girl Who Drank the Moon by Kelly Barnhill. And we have a serious contender for favorite Newbery–at least of the ones I’ve been reading for this challenge! 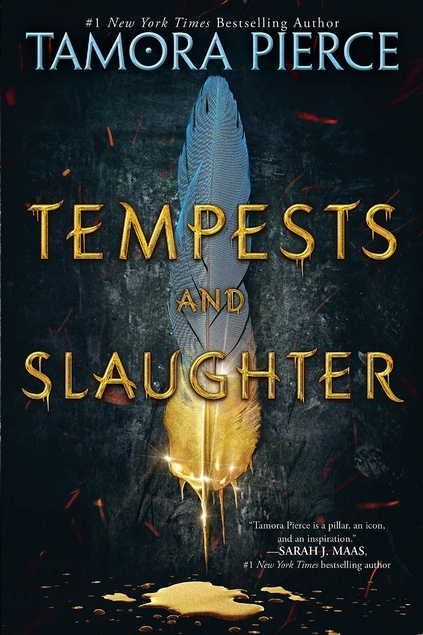 The story starts in a very sad village in the Bog, where every year on a certain day, the youngest baby is left in the forest for the Witch, so that she won’t destroy everyone else. We swiftly meet the Witch, Xan, 500 years old and quite unaware that anyone thinks she wants to harm them. She rescues the babies every year, taking them through the forest to happier towns where they are adopted and cherished. She feeds them starlight on the journey and they grow favored. But one year she is especially taken by a baby, and mistakenly feeds her moonlight instead. The baby grows full of magic, and Xan decides she must adopt Luna herself, adding her to a little family including Fyrian, a Perfectly Tiny Dragon, and Glerk, a grumpy, poetical bog monster.